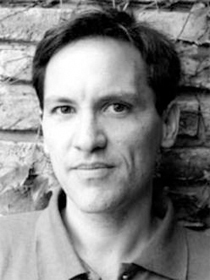 Osvaldo Golijov (b. 1960) has emerged in the past decade as one of the most acclaimed and original composers in contemporary classical music. A Pulitzer Prize winner, he is highly regarded by critics and audiences across North America and Europe for his unique blend of traditional folk music materials and modern classical idioms. Born in Argentina, the son of Polish-Jewish immigrants, he absorbed the sounds of traditional East European Jewish folk and religious music and the Yiddish language as well as Catholic masses, Latin American folk songs, chamber music, and the tangos of Astor Piazzolla. After study in Israel in the early 1980s with composer Mark Kopytman, he completed a Ph.D. in composition under George Crumb at the University of Pennsylvania in 1986. He himself now teaches at Holy Cross College in Massachusetts. In the 1990s, Golijov began to work closely with the Kronos and St. Lawrence String Quartets in a quest to rethink the canon of classical music from the outside in, combining various folk and pop genres with the conventional language of the string quartet. The first major effort in this direction was The Dreams & Prayers of Isaac the Blind, which immediately drew critical and popular acclaim for its pairing of the klezmer clarinet idiom (in a much more dramatic fashion than Krein, it should be noted), with a string quartet. Golijov’s piece also draws on Jewish mystical religious traditions to evoke the esoteric world of kabbalah, a tradition of intimate communion with God through special, secret prayers and other unconventional religious rituals. Golijov has gone on to great acclaim through his St. Mark’s Passion (2000), written to commemorate the 250th anniversary of J. S. Bach’s death, and featuring the Schola Cantorum of Caracas, jazz and folk musicians, dancers, and a symphony orchestra. In recent years he has also worked with Dawn Upshaw and the Atlanta Symphony Chorus and Orchestra, including on the opera Ainadamar, which won Grammy awards for best opera recording and best contemporary composition. Other projects have involved artists such as vocalist Luciana Souza, cellists Maya Beiser, Alisa Weilerstein and Matt Haimovitz, the Romanian Gypsy band Taraf de Haidouks, the Mexican Rock group Café Tacuba, and tablas virtuoso Zakir Hussain. He is composer-in-residence for the 2007 Mostly Mozart Festival at Lincoln Center and the Chicago Symphony Orchestra for the next two seasons. He has also recently completed Azul, a cello concerto for Yo-Yo Ma and the Boston Symphony and the soundtrack for Francis Ford Coppola’s upcoming film Youth Without Youth.